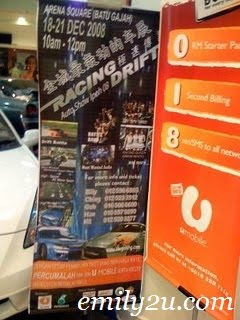 I stumbled upon this preview of Racing Drift Auto Show Ipoh 08 while shopping at Ipoh Parade this evening. I didn’t know that there was a huge sale going on; it felt like everyone was marching into the building, seriously. It had been a long while since I came across people going somewhere with a single purpose here in Ipoh. In this case, everyone was looking for shopping deals. 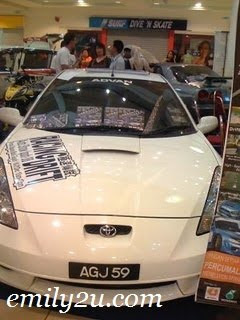 Like I mentioned, this is only a preview and ticketing event for the Racing Drift Auto Show Ipoh 08 which will be held at Arena Square, Batu Gajah from 18th to 21st December, 2008 from 10am to 12pm. I understand that tickets are sold at RM15 each but purchase of a ticket will entitle one to a free uMobile prepaid SIM pack with RM13 credit; uMobile is one of the sponsors of the event. 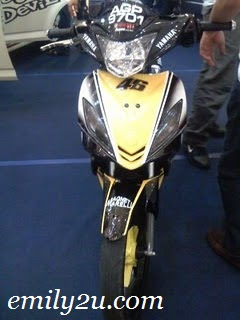 In this preview, there were only four cars and a motorbike on display. But what we can expect in the real event next month include auto show pool party, remote control motor sports, auto saloon, drift battle, trade expo, battle of the bands, hip hop performances, most wanted powerful audio and most wanted motorcycle sports show. 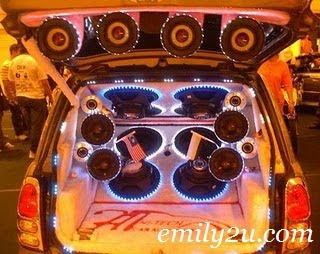 The highlight of this event and I suspect at the main event as well, is the car called Little Devil. I have a more than a handful of this cutely personalized car and once again it calls for a separate post which will be published soon.